As a college professor who’s seen a few young people with this kind of ability, there are a few things you should know. Children like Brittney are not created by accident. They are products of great parenting and tremendous guidance by the people who care enough to make the necessary investment. Brittney’s parents, Chyrese and Christopher Exline, deserve as much credit as Brittney herself, because they shaped her reality to be one where their daughter was firmly convinced that anything is possible if you simply put your mind to it. The second secret about women like Brittney is that there are young people all around us with just as much capacity for greatness. In too many cases, the child’s greatness is killed off like some kind of virus long before it ever has a chance to develop. Their potential can also be misguided into some other set of meaningless activities, like running out to the club or dribbling basketballs for a stadium full of white peoople. Sometimes, the child’s greatness is not activated because the carrier has been trained to sit hypnotized on the couch watching BET for 12 hours a day. Most of the Brittney Exlines of the black community are physically, spiritually, intellectually and socially aborted before they even get a chance to be great. So, the most extraordinary thing about Brittney’s story is not what she puts on her resume. It is the fact that her greatness was nurtured and developed in a way that allows all of us to see just how special this woman was meant to be. There is probably a Brittney Exline in your own son or daughter and it is your decision to activate that which makes him/her special. Also, by simply setting high expectations for our kids and pushing them to be their best, we can give them a chance to live as leaders and not as sheep. This is as much a spiritual exercise as it is an intellectual one, for your passion serves as the fuel for nearly all intellectual endeavors. For those who are interested in what it takes to produce extraordinary children, I recently conducted an interview with Dr. Mary Stoddard for PurposefulParents.com. Dr. Stoddard is one of 15 children, all of whom started as share croppers in Louisiana. 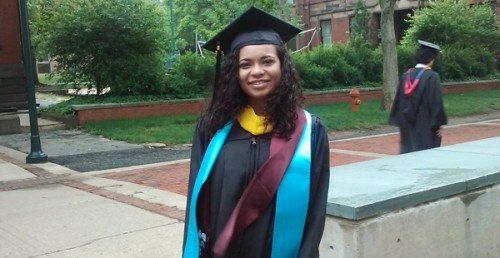 Not only did she and all of her siblings graduate from college, but she herself earned both a PhD and law degree. Also, each of her five children has excelled academically: Her oldest child is finishing her PhD, her second child is two years from finishing a doctorate, and the rest are doing outstanding things in their own right. Dr. Stoddard is a reminder that great children are not created by accident; they are created by parents who know that their kids have a purpose. To hear Dr. Stodddard’s extraordinary story, please click here. Hello, Rob M. We here at GBN aren’t sure how to answer your question. Perhaps you can post your query on the origin of the article on naturallymoi.com? Curious about her language ability. What was her exposure to them?